This diffuse galaxy, NGC 1052-DF2, has no “need” for dark matter. Dark matter is one of those things that scientists use to make up for an observation which is inconsistent with the known laws of physics. When astronomers look at the motion of stars in a galaxy, they can use Newton’s Law of Universal Gravitation to estimate how much mass must be in the galaxy to produce the motion that is observed. However, they can also use the amount of light they see coming from the galaxy to estimate how much mass is there. In general, those two masses don’t agree. The motion of the stars indicates significantly more mass than the light coming from the galaxy. That’s where dark matter comes in. Since the matter we can see using the light that comes from a galaxy doesn’t account for the motion of the stars within the galaxy, there must be a lot of matter that is too dark to see. But if it’s too dark to see, it must be some strange type of matter that is fundamentally different from the matter we have studied here on earth. Many experiments have been done trying to directly observe dark matter, but so far, they have come up empty. Thus, if dark matter exists, its nature is a complete mystery to us. This is frustrating, since astrophysicists think that about 80% of the mass in the universe comes from dark matter! Some scientists (I count myself among them) are hesitant to accept that about 80% of the universe’s mass is made up of something we can’t detect, so they look for alternate explanations. One group suggests that on very large scales, Newton’s Law of Universal Gravitation is slightly different from what it is here on earth. These physicists suggest a modified version of the law, which they call Modified Newtonian Dynamics (MOND). If you accept their modification, the need for dark matter goes away. Another scientist suggests that if you actually apply Newton’s Law of Universal Gravitation properly (taking into account that there are multiple bodies exerting gravitational force on all the other bodies and that those bodies are in constant motion), you need very little (if any) dark matter to understand why the stars move so quickly in galaxies. Well, these three competing ideas (dark matter, MOND, and multiple-body analysis) have just been presented with a means by which they can distinguish themselves: a diffuse galaxy charmingly named NGC 1052-DF2, which is pictured above. This is the first discovered galaxy for which the mass calculated from the motion of the stars is pretty much equal to the mass calculated from the light that we see. Thus, there is no “need” for dark matter in this galaxy. Now this galaxy is anything but a run-of-the-mill collection of stars. Most galaxies have a noticeable central region. This one doesn’t. Most galaxies have dense enough stars that there are portions through which you cannot see. This galaxy is completely see-through. Most galaxies have tight clusters of stars that orbit the outer parts of the galaxy. While this one has those clusters, they are about twice as large as the clusters seen in other galaxies. Most galaxies show evidence of a central black hole. This one doesn’t. Finally, it is part of a group of galaxies that is dominated by a very large, active galaxy known as NGC 1052. It’s possible that all these features somehow explain the apparent lack of need for dark matter. I really hope the group promoting MOND and the scientist promoting a multiple-body solution to star motion in galaxies turn their attention to this new discovery. While I am happy to believe in dark matter if there is strong evidence for it, right now, I am inclined to believe there is an alternate solution to the “missing mass” problem in galaxies. Hopefully, further analysis of this galaxy will help us find out. As usual, thanks for keeping up with such things. I had never heard of Saari; the paper of his you linked was interesting. I didn’t want to blog about the paper when I read it because, quite frankly, it would take me a while to get through the math. However, assuming his math is correct, it’s an interesting result. Yeah, it seems like one of those things that looks straightforward but is actually tricky. I didn’t think through it either. Hmmm. While undoubtedly very interesting, and informative to investigate, I would think that this particular galaxy is so atypical that it has little bearing on whether or not dark matter is a necessary part of cosmology as a whole. Like you, I much prefer explanations that don’t invoke unobservable components, especially not for such a high percentage of matter, but dark matter is not, strictly speaking, “unobserved” as much as it is “indirectly observed”. We see it’s effect, but not the matter itself. But is this not like the original indications we had of black holes, which are now well confirmed — we could see their gravitation effects on the space and matter around them long before we had direct observational evidence for the black holes themselves? No? I don’t make much of it. If you read the blog article to which he refers, all of these “observational tools” boil down to the same thing – certain observations cannot be explained by the matter that we see, so there must be dark matter. Once again, that’s a big leap. The MOND people would most certainly disagree with his conclusion. There could also be some way that spacetime is warped other than by mass, and that would explain all of those observations as well. Thus, to say that there is “no doubt” that cosmic dark matter exists is definitely not a scientific statement. It is, at best, a metaphysical one. Strange that some scientists says that dark matter exists but we can’t even detect it with the most high technological equipment. This area of physics isn’t my preference, however I respect much those who likes, and understand it! God Bless you all! Do you think it’s possible that non-baryonic matter like a black hole could create more gravity than typical matter? Or that gravity is nonlinearly related to mass on a large scale? Could the non-existence of a black hole explain this galaxy? Certainly it’s possible that black holes are doing something we don’t expect. However, they are considered baryonic, since they are simply condensed atoms. Also, the very equations that alerted us to the possibility they exist seem to explain the indirect observations we have made of them, so I am skeptical that they can be the solution to this issue. I don’t think a non-linear response to mass on large scales would fix the “missing mass” problem. That’s why MOND varies the distance dependence of gravity, not the mass dependence. That’s a variation of MOND. It is more rigorous treatment, but I would include it in the MOND solution. Dark matter fills ’empty’ space, strongly interacts with visible matter and is displaced by visible matter. The reason for the mistaken notion the galaxy is missing dark matter is that the galaxy is so diffuse that it doesn’t displace the dark matter outward and away from the galaxy to the degree that the dark matter is able to push back and cause the stars far away from the galactic center to speed up. It’s not that there is no dark matter connected to and neighboring the visible matter. It’s that the galaxy has not coalesced enough to displace the dark matter to such an extent that it forms a ‘halo’ around the galaxy. A galaxy’s halo is not a clump of dark matter traveling with the galaxy. A galaxy’s halo is the state of displacement of the dark matter. 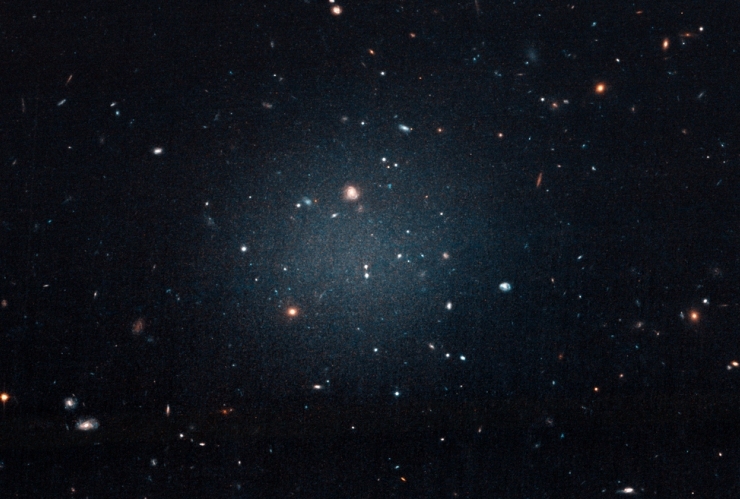 NGC1052–DF2 demonstrates that dark matter is not always coupled with baryonic matter on galactic scales. It’s not a question of the distribution of dark matter. It’s that there doesn’t seem to be any need for dark matter to understand the speed of the globular clusters. They are mistaking there being no dark matter with correctly understanding the visible matter has not coalesced enough to displace the dark matter into a halo. Since the galaxy is so diffuse it doesn’t displace the dark matter to the point where it forms a halo and pushes back. Since the dark matter is not displace to the point where is pushes back and causes the stars far away from the galactic center to speed up they incorrectly conclude that there is no dark matter. It’s not that there is no dark matter, it’s that the dark matter isn’t displaced by the diffuse galaxy. Further, I’d have to read a review or ask my friends, but my impression is that the dark matter “halo” is in fact more of a sphere (the mass function Wikipedia says is common has only one maximum, at zero radius). Now, if you imagine that this particular galaxy is sitting in a much larger region with constant dark matter density, then yes, the stellar rotation curves would depend only on the normal matter (the galaxy itself would experience a force depending on where it is relative to the center of the much larger region, but that wouldn’t affect the rotation curves much). But if the region of constant dark matter density were close to the size of the galaxy, then the dark matter would indeed affect the rotational curve. This is why the Nature abstract just says that the visible mass in this particular galaxy isn’t coupled to the dark matter distribution. Oh, oops – in the scenario where the galaxy is in a large region with constant dark matter density, its stellar velocity curve would still be affected if it were near the center of the large region. The “new physics” is understanding dark matter fills ’empty’ space and is displaced by visible matter. It’s not that there is no dark matter connected to and neighboring the visible matter. It’s that the visible matter is too diffuse to displace the dark matter to an extent that it causes there to be a halo. Without a halo, the dark matter is not pushing back. Without the dark matter pushing back, the stars far away from the galactic center are orbiting the galactic center as if there is no dark matter. The paper came up with three possible explanations for what could have caused such a discrepancy in the two studies, each of which are completely theoretical in nature. It could be that dark energy — the theoretical opposite to gravity — is causing the cosmos to grow faster and faster. This would meant that universe does not have a constant rate of growth. Another explanation is that dark matter — a hypothetical type of matter that doesn’t emit light or energy — might actually interact with visible matter and radiation more than previously suggested. First of all, then, this is being used as one of three possible explanations for some unexpected results. Second, note the part that you clipped out of the quote: “more than previously suggested.” So, once again, based on our current understanding, Jake is correct. Dark matter interacts very weakly with visible matter. It is not displaced by visible matter. Now, it’s always possible that our current understanding is wrong. However, based on what we know now, the authors are correct. There is no dark matter in that galaxy. I understand exactly what the article is saying. A galaxy’s halo is not a clump of dark matter traveling with the visible matter. A galaxy’s halo is displaced dark matter. The galaxy referred to in the original article this blog is discussing is too diffuse to displace the dark matter into a halo. That’s not what the article says at all. The article says there is a discrepancy between two data sets, and it says that dark matter interacting with visible matter more than previously expected is one possible explanation. It says nothing about dark matter being displaced by visible matter or the nature of the dark matter halo. The article I referred to says a possible solution to what they are observing is that dark matter interacts with visible matter. If dark matter fills ’empty’ space and interacts with visible matter then it is displaced by visible matter. Now, back to what this blog is discussing. The article referred to originally in this blog says the stars in the galaxy are orbiting about the galactic center at a rate at which does not include dark matter. It’s not that there is no dark matter, it’s that the dark matter is not displaced by the galaxy to the point where it is able to push back and cause the stars in the outer arms of the galaxy to speed up. Think of dark matter as a supersolid that fills ’empty’ space and is displaced by visible matter. For most galaxies, the dark matter is displaced by the visible matter into forming a halo about the galaxy. The dark matter the halo consists of pushes back and causes the stars in the outer arms of the galaxy to speed up. In the galaxy referred to originally in this blog, that doesn’t occur. That doesn’t occur because the galaxy is too diffuse to displace the dark matter into a halo. I know what your response will be. It will be, “that’s not what the article says”. I realize it’s not what the article says. I am correctly explaining what occurs physically in nature. I understand what you are saying, but you are not correct. As far as we know, dark matter does not fill empty space the way you are saying it does. If it interacts with matter it does so very weakly. Otherwise, we would be able to detect it. As the article you linked said, it’s possible that dark matter interacts with visible matter stronger than currently thought, but that doesn’t mean it is a “supersolid that fills empty place and is displaced by visible matter.” Once again, if that were the case, it would be easy to detect directly. It is clearly not easy to detect, as we have been trying to directly detect it for years and have come up empty. Also, we know there are ultra diffuse galaxies that require dark matter to explain the motion of their globular clusters (see here, here, and here). If your conjecture were correct, those galaxies should not exist. We detect if every time a double-slit experiment is performed, as it is the medium that waves. Dark matter ripples when galaxy clusters collide and waves in a double-slit experiment, relating general relativity and quantum mechanics. The supersolid dark matter displaced by the Earth pushing back and exerting pressure toward the Earth is gravity. What is referred to geometrically as curved space-time physically exists in nature as the state of displacement of the dark matter. The state of displacement of the dark matter is gravity. Detecting gravity is evidence of dark matter. Jump up. The dark matter displaced by the Earth pushing back and exerting pressure toward the Earth forces you back to the Earth. When you jump up, and you are forced back down to the Earth, you have detected dark matter. Once again, that is simply wrong. Light is an electromagnetic wave. It is not a dark matter wave. Detecting gravity is not detecting dark matter. Dark matter is a rescuing device that is used to explain why a galaxy’s visible mass is not large enough to explain the motion of its stars. Dark matter is not a supersolid, and it is not displaced by the earth. If visible matter displaced dark matter, we could detect it directly. We cannot. Once again if your conjecture were correct, there would be no need to invoke dark matter to explain the motion of stars in ultra diffuse galaxies. However, every other ultra diffuse galaxy requires dark matter to explain the motion of its stars. You really need to educate yourself on these issues, as you have a lot of misconceptions! There is no need to invoke a dark matter halo when discussing diffuse galaxies because they are too diffuse to displace the dark matter into a halo. Yes there is. Read the papers here, here, and here. One of the ultra diffuse galaxies requires so much dark matter to explain the stars’ motion that it is thought to be 99.99% dark matter! This is why we know what you are saying is wrong. Ultra diffuse galaxies have the same problem that other galaxies have: Their stars move as if there is more mass than can be accounted for by the visible matter. The ultra diffuse galaxy I am discussing in this article is odd because it is unlike the other ultra diffuse galaxies. It does not have that problem and thus is thought to have no dark matter. The galaxies that consist of 99% dark matter probably consist of a super-massive black hole, without much visible matter, that is displacing the dark matter. That doesn’t work as an explanation. Read the paper. The data are inconsistent with the presence of a super-massive black hole. Also, according to your conjecture, dark matter is supposed to be “a supersolid that fills ’empty’ space and is displaced by visible matter.” Even with a super-massive black hole (which the data say isn’t there), there would still be plenty of empty space in the ultra-diffuse galaxies, and there would not be enough visible matter to “displace” the dark matter. Nevertheless, they require lots of dark matter in halos to explain their stars’ velocities. The fact that all ultra diffuse galaxies studied (except this one) require dark matter halos to explain their stars’ motion tells us that your conjecture is just plain wrong. Once again, educate yourself on this issue. You have a lot of misconceptions! The more compact the cluster the greater the displacement of the dark matter connected to and neighboring the cluster the greater the displaced dark matter pushes back and exerts pressure toward the cluster the faster the stars move in the cluster. But the galaxy discussed in this article also has compact clusters. Once again, then, your explanation doesn’t work. Visible matter does not “displace” dark matter. It doesn’t interact with visible matter strongly enough to do that. 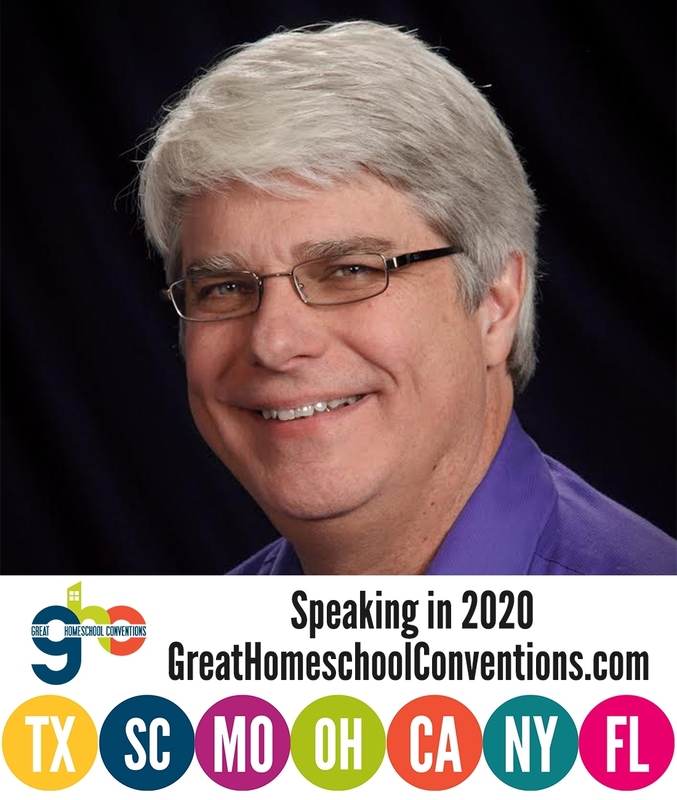 Please learn about this before commenting! They’re measuring two different things. In one instance they are measuring the speed at which the stars move. In the other, they are measuring the speed at which the cluster itself moves. Once again, you are completely wrong. They are measuring the mass of the galaxy based on the visible matter and then the mass based on the speed at which the compact clusters orbit. In all other ultra diffuse galaxies studied, these masses disagree. The mass based on the motion of the clusters is much, much larger than the mass based on the visible matter. Thus, those ultra diffuse galaxies require dark matter. When they do the exact same analysis for this ultra diffuse galaxy, the mass based on the visible matter and the mass based on the motion of the clusters is roughly the same. Thus, unlike all other ultra diffuse galaxies studied, this particular galaxy does not require dark matter. Once again, if your speculation were correct, few (if any) ultra diffuse galaxies would need dark matter to explain the motion. All of the ones studied except for this one require dark matter. We therefore know that your explanation is not correct. Of course, we already knew that, because dark matter doesn’t interact enough with visible matter to do what you claim it does. This marks the end of my discussion with you. I simply don’t have time to keep correcting you. I wonder what you think of Myron Evans? I might have mentioned him to you before. He wants to introduce torsion into the curved space model and suggests torsion dictates dark matter causing it to act like electromagnetism without the charge. He’s an interesting guy…stumbled on him quite accidentally while watching Eric Laithewaite videos. “The dark matter is misnomer – it’s colloquial denomination of quite diverse range of phenomena, which may or may not have something to do with matter concept as we know it. In perspective of dense aether model, every steady-state fluctuation of vacuum or curvature of space-time can and should be considered as a matter already, as it should have reference frame assigned, speed, velocity and also gravitational and inertial behavior assigned. Therefore in my understanding, the dark matter really IS a matter – except that the majority of it remains formed with extremely volatile and short-leaving density fluctuations of vacuum, which are on the verge of virtual particles and quasiparticles, rather than quasiparticles and resonances. But as a whole these temporary and sparse fluctuations have the similar material behavior (lensing and inertia), like finely divided particles of real matter. These “particles” are just way more lightweight, than the mainstream physics expected so far. The reason of this stance is, the mainstream physicists cannot imagine the gravitational lensing of dark matter without breaking of equivalence principle of general relativity and without presence of some massive particles – so they they obstinately searched for quite heavy particles first WIMPs and gradually it decreased the upper limit of their mass (SIMPs). Currently the physicists have (nearly) nowhere to go with this approach already, because the lower limit of their speculations represents the neutrino background, the noise of which prohibits further increase of sensitivity of dark matter detectors. A precarious situation, isn’t it true? You have mentioned Evans before, which made me look at his work. Most of what he writes is so deep in the weeds that it would take me a long time to properly understand what he is proposing. However, I do know that the journal Foundations of Physics Letters originally published his work on a unified theory. It later retracted all of it because of mathematical errors that people claimed to find (here is an example). I didn’t spend enough time with the math to know whether or not the criticisms are correct. Thanks for posting that..hadn’t seen it before. I’ll never understand even a fraction of the math but I feel like I’ve somewhat gathered the premise. It’s interesting. He’s interesting too. He vehemently defends his work even going so far as to call the head author of the critique you just posted an 8 year stalker of his. The idea that – space curvature has a twisted component, evidenced by electomagnetism, and that dark matter straddles the “somewhere” in-between is kind of cool. I guess we’ll see if it ends up being wishful thinking. In an unusual instance of algorithms actually succeeding in suggesting to me something I’m interested in, Firefox introduced me to Sabine Hossenfelder last week. Have you heard of her? I haven’t gone through her blog in detail, but the article Firefox suggested about her most recent book intrigued me; she actually seems to understand Kuhn. And looking at her blog, I think I very much appreciate her sentiment (though she swears). She recently posted about this particular galaxy as well. My initial impression of this galaxy (which I heard about from you) was that it does indeed seem to discredit MOND, but reading Hossenfelder’s analysis changed my mind. Thanks for those links, Jake. I had not heard of her, but she seems like she will be an interesting read. Earth Day Predictions that Were “Spectacularly Wrong” A New Feature in the Human Body Has Been Discovered!